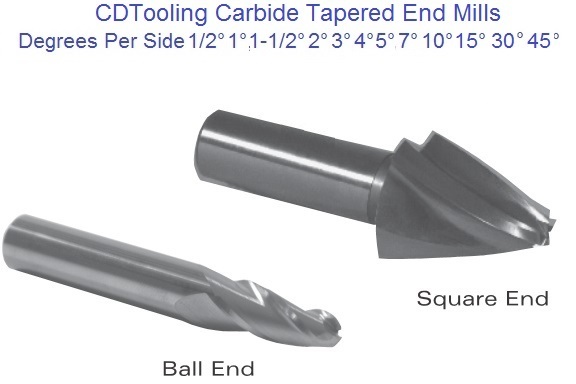 All Carbide & Diamond Tooling Brand cutting tools are manufactured state of the art equipment and are available with premium coatings and substrates which optimize the performance of our cutting tools within the target material groups. 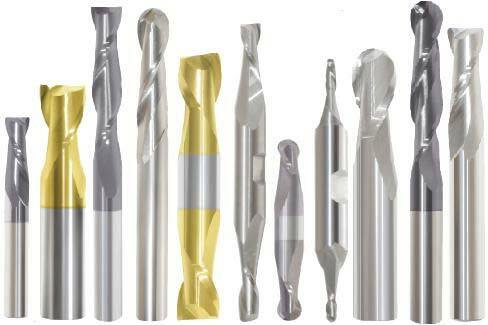 Advanced geometry and grinding and honing produce superior cutting edge on our cutting tools. 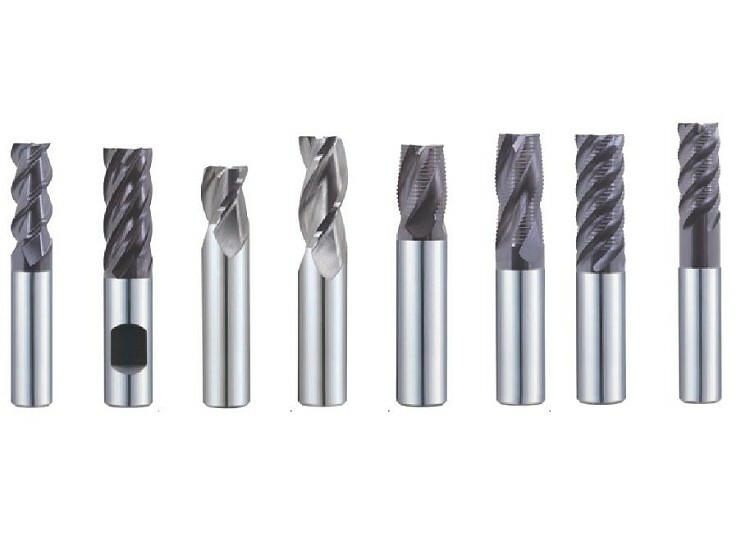 The new nano coatings possess improved wear resistance, chemical and thermal stability and a smooth surface finish which allows chips to flow easily over the surface of the tools, thus contributing to better performance and longer tool life. 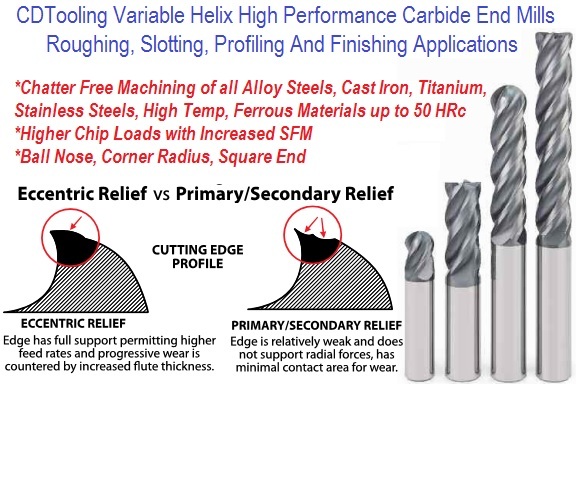 The ultra-fine grain carbide substrates offer the optimal combination of wear resistance and edge strength. 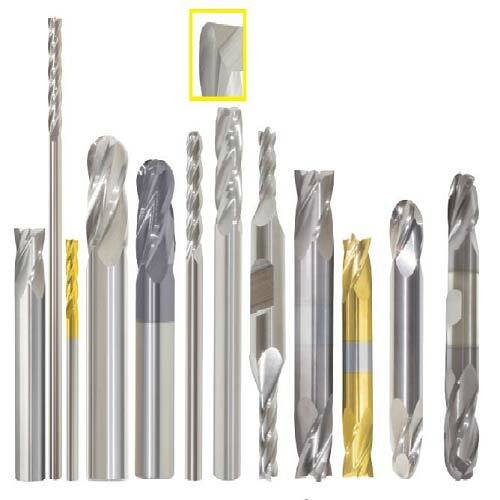 It is becoming increasingly common for traditional solid endmills to be replaced by more cost-effective inserted cutting tools (which, though more expensive initially, reduce tool-change times and allow for the easy replacement of worn or broken cutting edges rather than the entire tool). 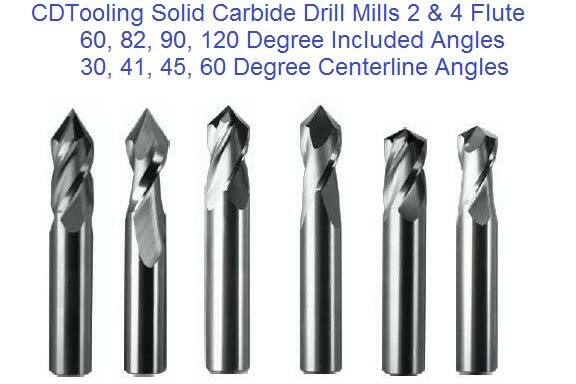 Endmills are sold in both imperial and metric shank and cutting diameters. In the USA, metric is readily available, but it is only used in some machine shops and not others; in Canada, due to the country's proximity to the US, much the same is true. In Asia and Europe, while imperial is readily available, metric diameters are standard. 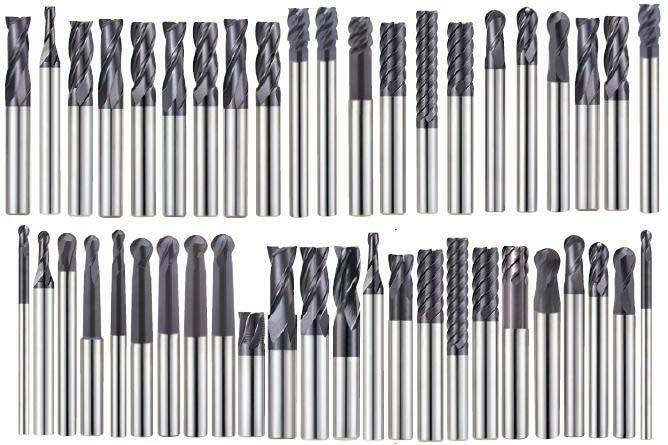 A variety of grooves, slots, and pockets in the workpiece may be produced from a variety of tool bits. 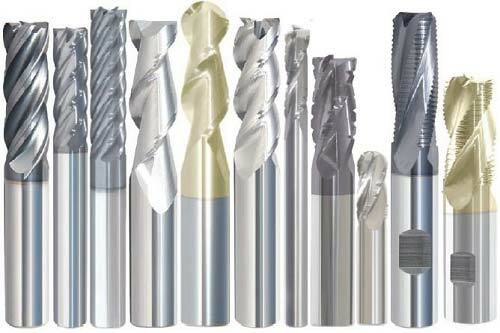 Common tool bit types are: square end cutters, ball end cutters, t-slot cutters, and shell mills. Square end cutters can mill square slots, pockets, and edges. 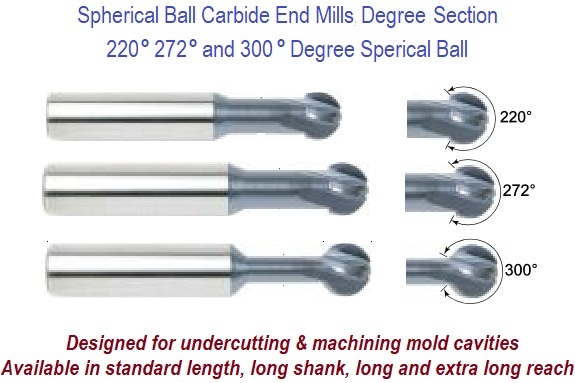 Ball end cutters mill radiused slots or fillets. T-slot cutters mill exactly that: t-shaped slots. Shell end cutters are used for large flat surfaces and for angle cuts. There are variations of these tool types as well. 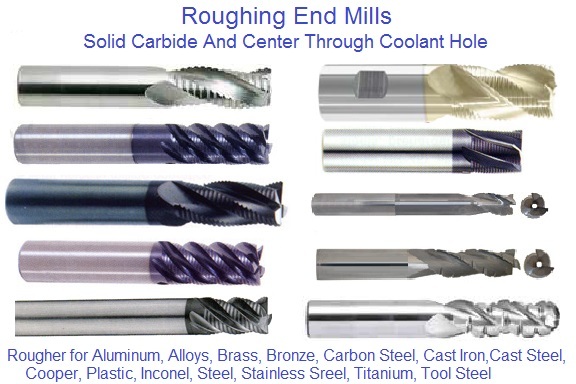 There are four critical angles of each cutting tool: end cutting edge angle, axial relief angle, radial relief angle, and radial rake angle. See graph for common values. Depending on the material being milled, and what task should be performed, different tool types and geometry may be used. 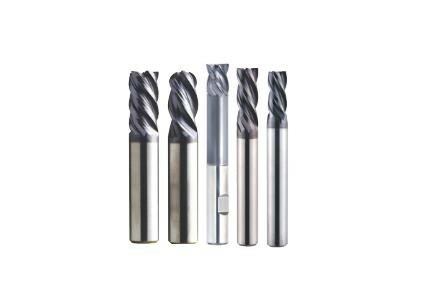 For instance, when milling a material like aluminium, it may be advantageous to use a tool with very deep, polished flutes and a very sharp cutting edge. 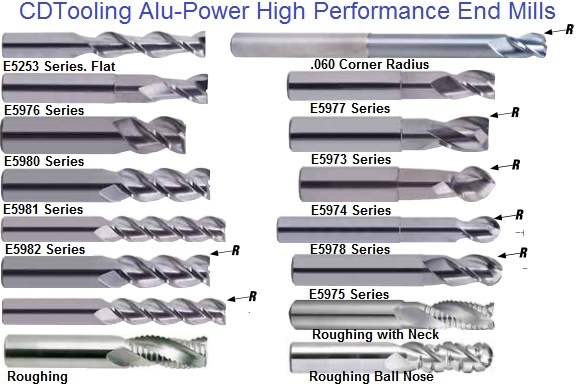 When machining a tough material such as stainless steel, however, shallow flutes and a squared-off cutting edge will optimize material removal and tool life. Endmills are typically made on CNC (computer numeric controlled) tool and cutter grinder machines under high-pressure lubricants such as water, water-soluble oil, and high-flashpoint oil. 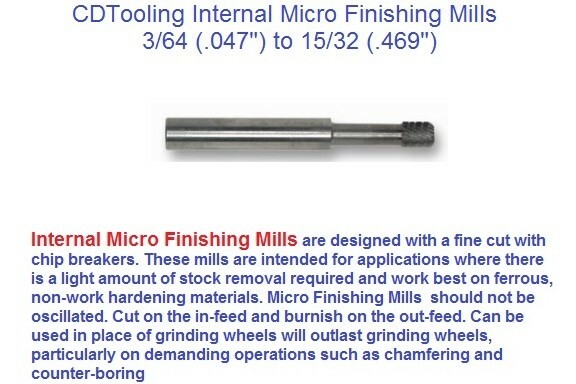 Grinding inside the machine is accomplished with abrasive wheels mounted on a spindle (and in some cases, multiple spindles). Depending on what material is being ground, these wheels are made with industrial diamond (when grinding tungsten carbide), cubic boron nitride (when grinding cobalt steel), and other materials (when grinding, for instance, ceramics), set in a bond (sometimes copper).